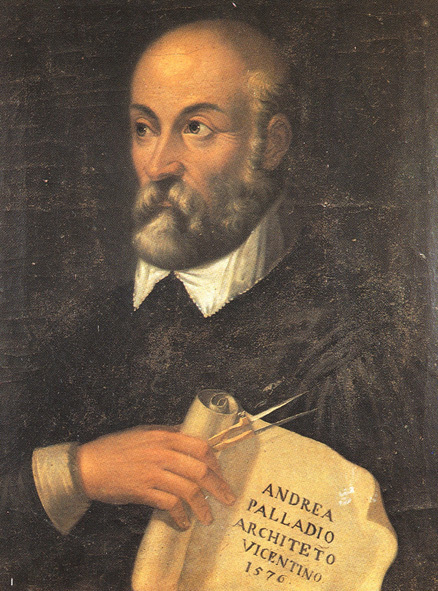 ANDREA DI PIETRO DELLA GONDOLA. A nice, simple Italian name from out of the 16th century belonging to a humble stonemason, the son of a hard-working miller. But, when a nome d’arte is finally placed behind young Andrea’s full name, he rises like a phoenix, well above the crowd, to an elite level reserved for monarchs, popes and nobility. 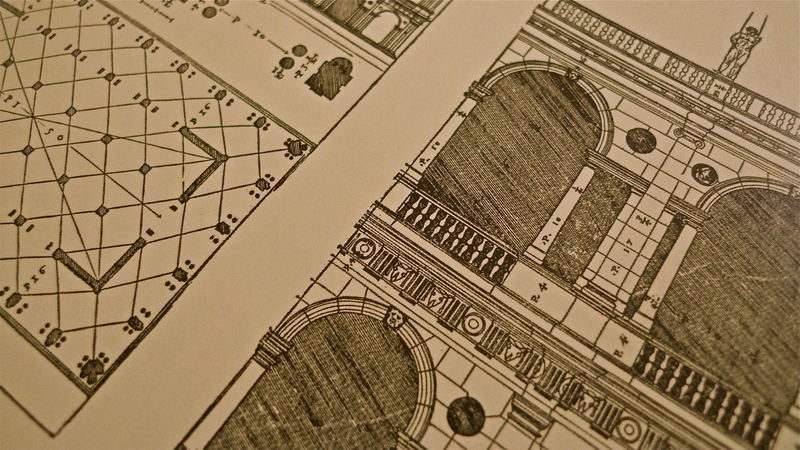 Widely considered to be the most influential individual in the history of Western architecture, Palladio created, nurtured and developed an architectural style and design – and an associated lifestyle – known the world over as Palladianism. Born in Padova (Padua) and eventually schooled and culturally polished in Vicenza, Città del Palladio – my adopted “hometown” – this Italian Renaissance master builder provided an architectural crown jewel to the world that continues to inspire even while he rests – the Villa Almerico Capra – La Rotonda. 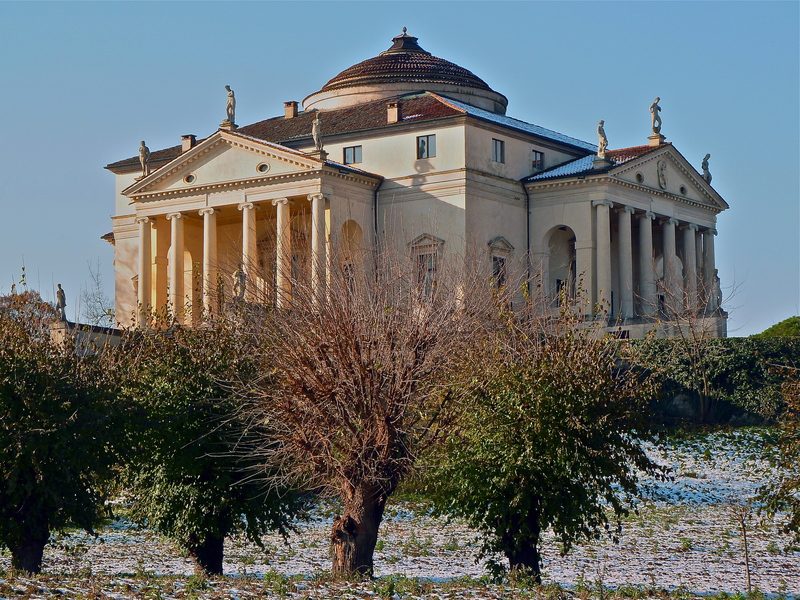 Standing majestically atop a wide grassy field at the base of the Colli Berici (Berici Hills), La Rotonda serves as a testament to Palladio’s influence on thousands of other estates, public buildings and churches constructed within and outside Italy by architects who followed him. Since its creation, La Rotonda has drawn poets and artists, sovereigns and statesmen, scholars and art historians, and travelers and tourists alike to Vicenza to marvel at Palladio’s harmonious spatial design. At its height, the breath of Palladio’s influence extended from Constantinople, to Madrid, to London to a young nation’s capitol across the Atlantic Ocean – Washington, D.C. La Rotonda, the master’s capo lavoro (masterpiece), as well as all of his other works, continues to resonate today, more than 400 years after his death. 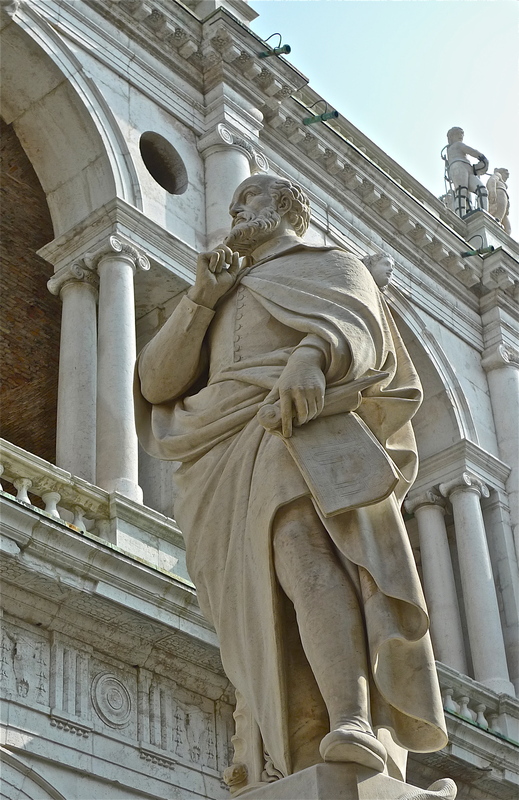 Without a doubt, the 16th century belonged to Palladio, a man who left behind many outstanding examples of his craft throughout the City of and Province of Vicenza, and beyond, with his palaces and stately villas. Before Palladio’s passage through Vicenza, it was arguably one of the more downtrodden and esthetically lacking cities of the Veneto region. 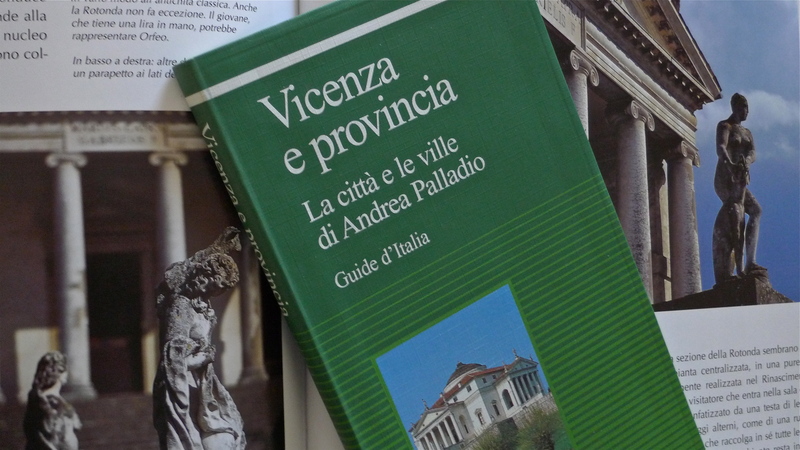 It was Palladio who singlehandedly placed Vicenza “on the map,” laying down a solid foundation that has enabled the city to become one of the gems in UNESCO’s World Heritage Site inventory. Within the historic walls of Vicenza alone, 23 individual buildings or sections of buildings are known to have been designed or reconstructed by Palladio or attributed to him. 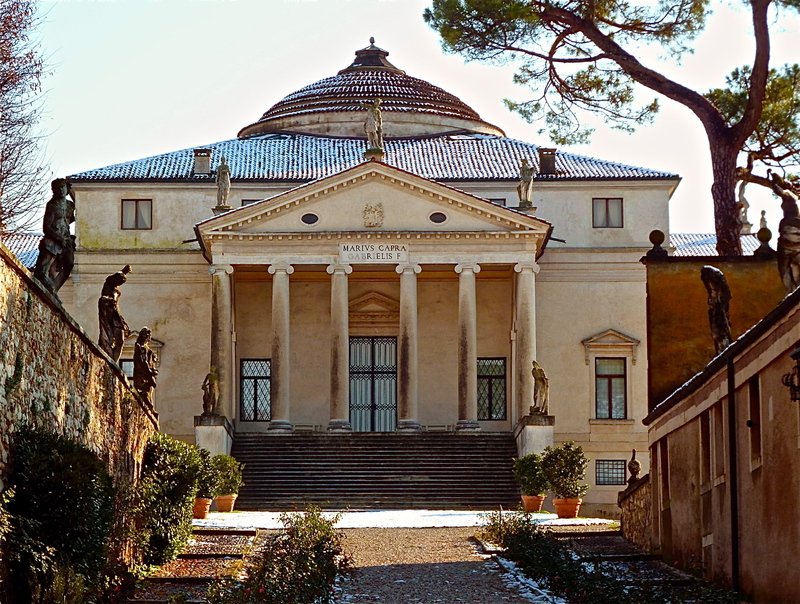 In addition to Vicenza proper, the Palladian design style – more importantly, the Palladian lifestyle – is well represented in 24 private villa-estates that dot the landscape all across the Veneto region. Beginning at the outskirts of the old city limits and extending eastward to Mira, just outside the Lagoon of Venice along the Brenta River, these country estates – all designed by Palladio himself – are UNESCO World Heritage Sites. Palladio’s imprint on Renaissance architecture was far reaching, and the design and construction guide books that he wrote on the subject – Quattro Libri dell’Architettura (Four Books of Architecture) – became the architectural language spoken around the world, from Europe, to Asia and across North America. One of America’s “Founding Fathers,” Thomas Jefferson, the third President of the United States and a self-taught architect of note in his own right, absorbed Palladio’s theories of harmonious spatial design and claimed Palladio’s Four Books of Architecture were the bible. An ardent disciple of Palladianism, Jefferson adopted the Palladian lifestyle and modeled his Virginia estate, Monticello, after Palladio’s masterpiece La Rotonda. 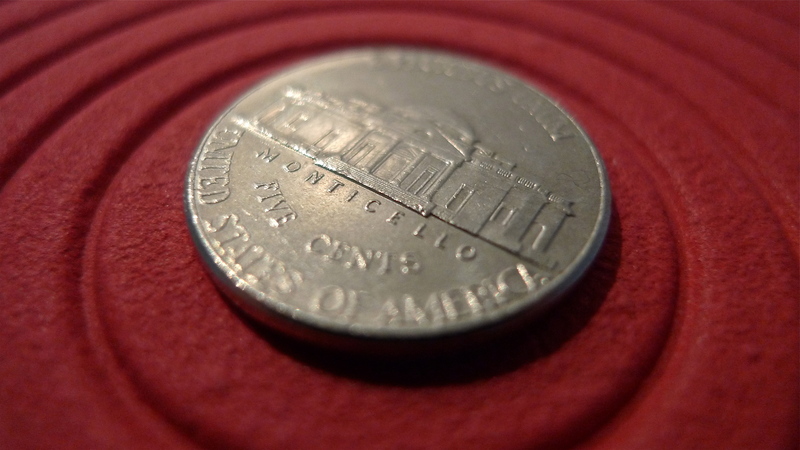 If you don’t believe me, just look at the back of a U.S. nickel (5-cent coin) and you’ll readily see the design similarities between the two villa-estates. 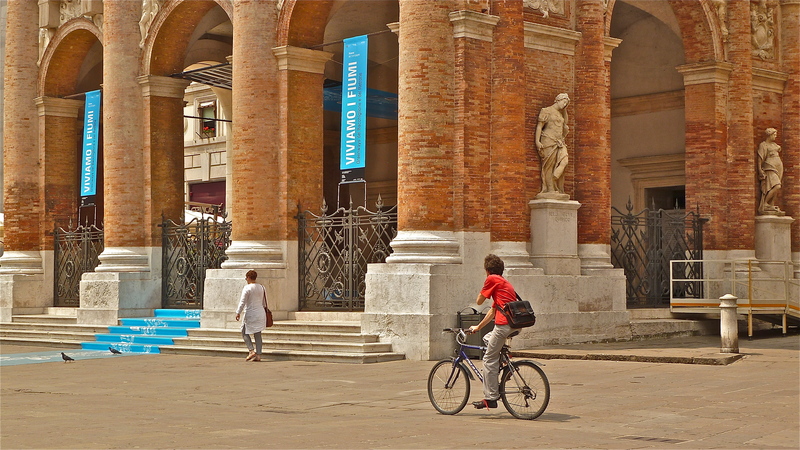 The Vicenza of today is a thriving, cosmopolitan city, filled with a rich history, art and culture. 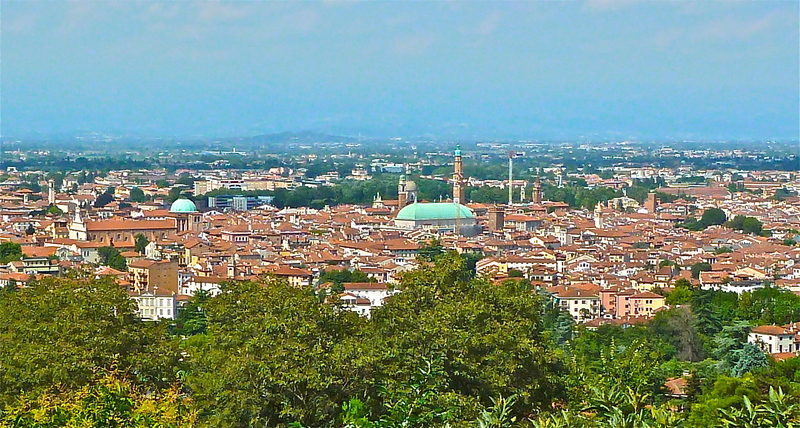 With a population of approximately 270,000 around the greater metropolitan area, Vicenza ranks as the third largest Italian industrial center – based upon the value of its exports. Still a global leader in the crafting of fine gold jewelry, the local steel and textile industries, along with the computer components engineering sector, all contribute in keeping the masses employed. One of the Bel Paese’s wealthiest cities, Vicenza has come a long, long way since the days when it was looked down upon by its more successful sister cities around the Most Serene Republic of Venice. By all accounts, Vicenza’s luck began to change the day the young stonemason arrived, rolled up his sleeves and went to work; work that centuries later would award him the keys to the city. His city. The city of Andrea Di Pietro della Gondola – La Città del Palladio. I consider myself pretty lucky, at this stage of my life, to be able to hang my hat — at least for a while — here in Vicenza. Aside from Palladio and the priceless bounty he left behind, there’s plenty more to explore and experience, and I’ll be sharing it all as I continue to meander along the cobblestone to somewhere. So, what’s special about your hometown — birthplace or adopted abode? Care to brag about it and show us around? You know, some of the best scenes and stories are just outside your front door, right around the corner, or a few paces up the street. 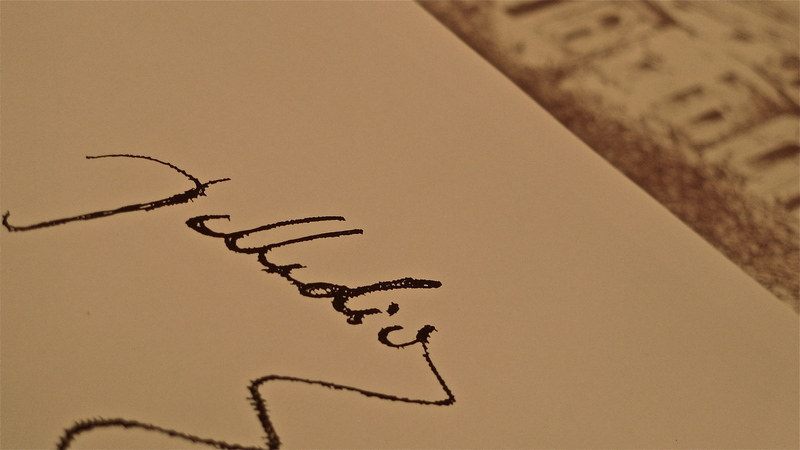 Why not grab your camera and notepad and start sharing your current “postal code” with the rest of us. I’m sure the local travel office wouldn’t mind the extra ink. I’m not too bad with a digital camera, but I have the wobbliest hands ever. I don’t think me and a camcorder would be allowed in the same room. Your blog looks highly informative. I’m on a whistlestop visit to the Blog of the Year page to pick up another star but I couldn’t resist the mention of Vicenza. R-Jo — Thanks for stopping by. What’s your connection with Vicenza? I love the beautiful guitar accompanying the video, it goes well with all the beautiful images. I hope to go to Vicenza in the near future. Where was the picture at the top of the page taken? 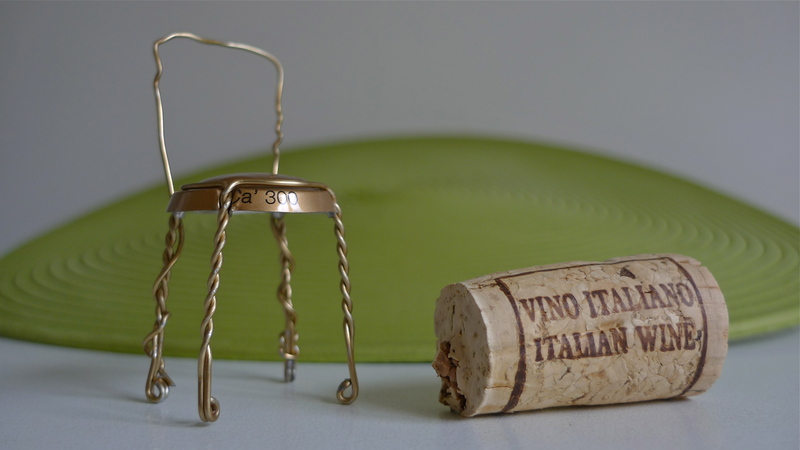 Since we’ll be in Vicenza in September, is there any guide you would recommend? We’re friends of Larry…and have left comments in the past. Walt & Gloria — I just sent you a detailed email on suggested places to visit while you’re here. Tell Walt to pack his press credentials. He might be able to flash them and get free entrance into some of the museums. The header photo is of Procida, a small island off the coast of Naples. It’s the island that was used for some of the filming of Il Postino (The Postman). Thank you for your site. I too fell in love with Italy and all things Italian while in Caserma Ederle, 62-64. Have been back three times. I found this comment to be wonderful: ” When I first contemplated going to Venice I asked a friend how often he’d been. ‘Forty-three times was the reply, it’s that sort of place’ To me, all of Italy is: “That sort of place”..
Only read this now for the first time. And the video is absolutely stunning too. Excellent! Thanks. An email response awaits you. I’m going to be in Vicenza next weekend! Your video was a lovely appetizer. Thanks so much.